Spice up your all-white look with some freshly picked fall blooms such as dahlias, gerberas, and chrysanthemums. Again, don’t be afraid to mix and match. And for a more natural look, add branches of purple beautyberry, Russian sage, or fountain grass. “Yellows and oranges don't have to be only summery! Natural elements such as hay will give you the feeling of hayrides through the pumpkin patch. The flowers used here can also help you with your overall budget since in-season flowers can be less expensive,” she says. “Don't be afraid to mix and match colors. 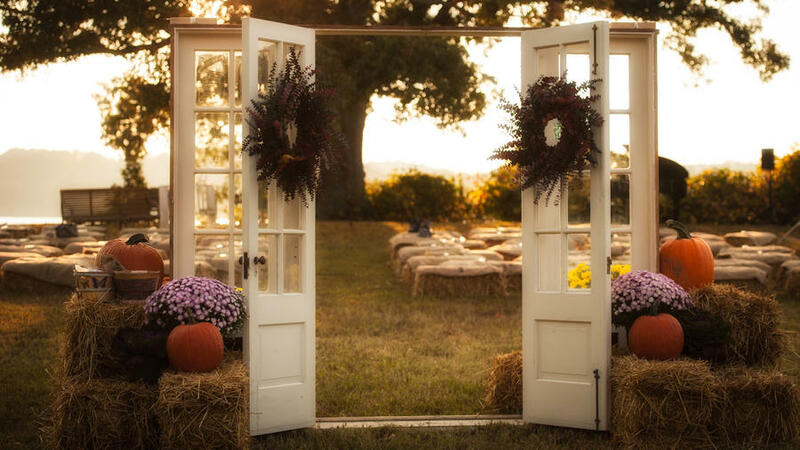 Yellow, orange, and red aren't the only hues that bring fall feelings to your wedding. Dark blues like these gorgeous gowns or even dark greens can give you the feel of that first crisp fall morning without going too far past the color scheme,” says Kim Sayatovic of Belladeux Event Design. 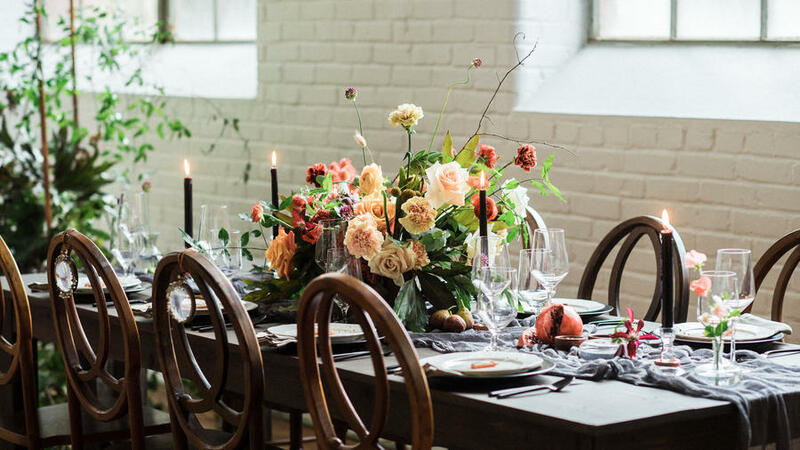 “Pumpkins and local wildflowers are such an easy way to incorporate autumn into your design. If you are saying your I Do’s outside, use logs or haystacks like these for seating options,” Sayatovic suggests. 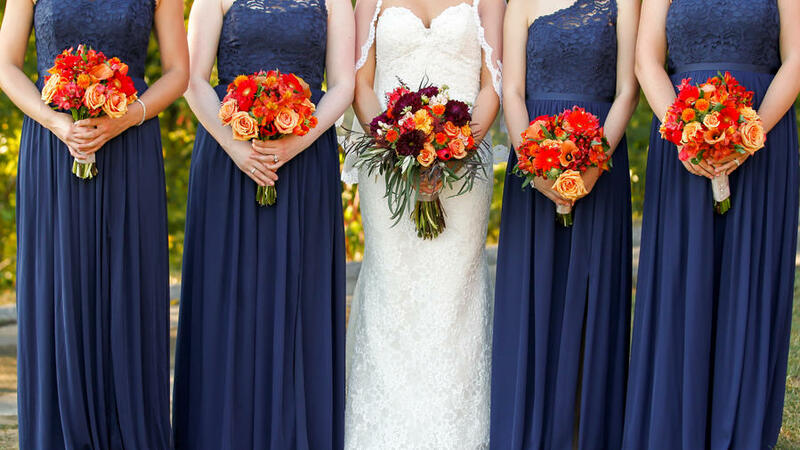 “While personalizing your florals with autumn shades will work, think about your bridal party dress colors as well. A beautiful dark yellow will work great in the fall as opposed to a bright yellow for summer. 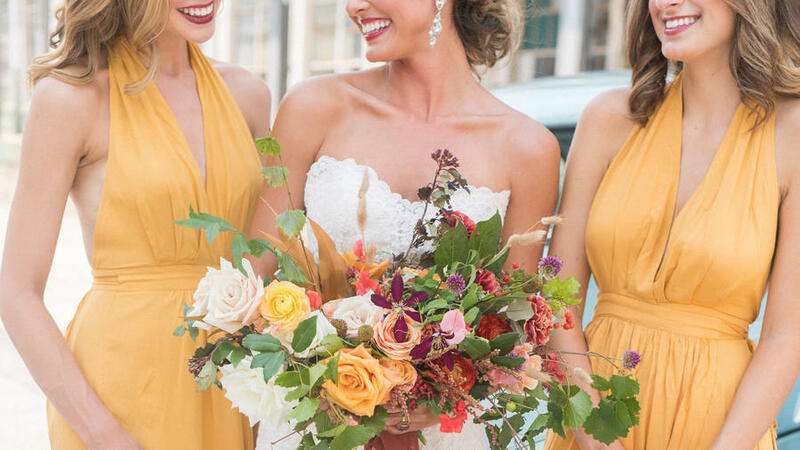 The bridesmaid bouquets give the feel of a basket full of freshly picked flowers that go perfectly with the softer, understated yellow of the gowns,” she adds. 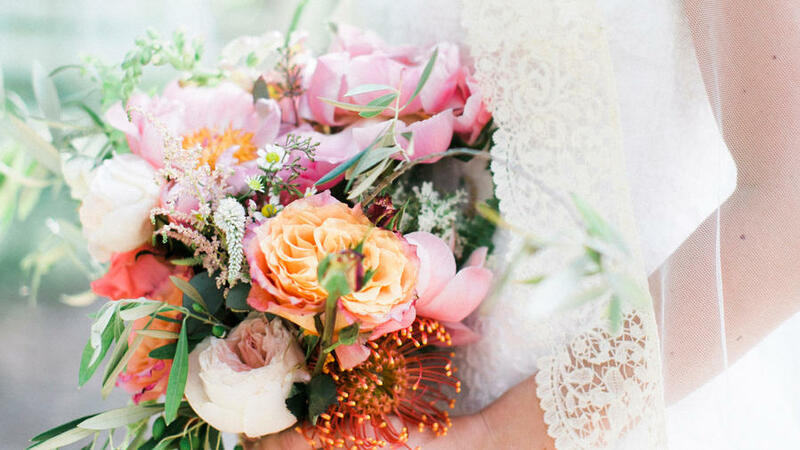 Take inspiration from fall’s natural colors for your wedding day palette. “Pops of oranges, yellows, and reds will bring to mind the changing of the leaves and can create a fall atmosphere. Wildflowers, as pictured, will create a feeling of nostalgia; think about coming home from school in the fall with hand-picked flowers for your loved ones,” Sayatovic adds. 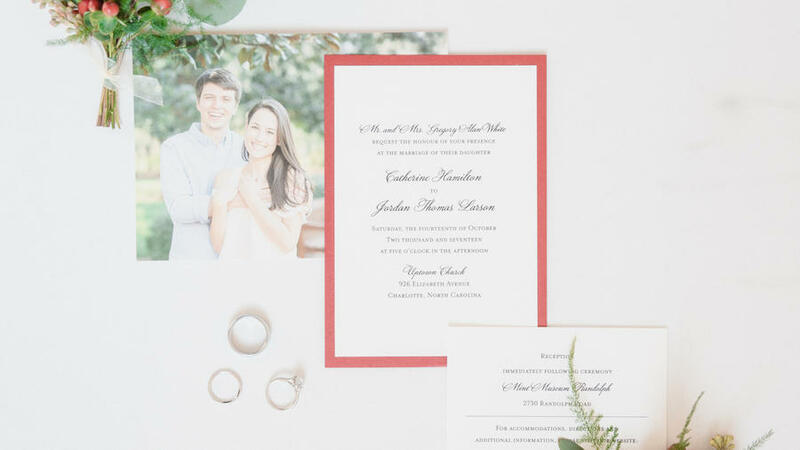 “Your invitations will set the tone for the entire celebration, so it’s key to bear in mind your theme. Take caution though—you don’t need to go overboard with the first impression. 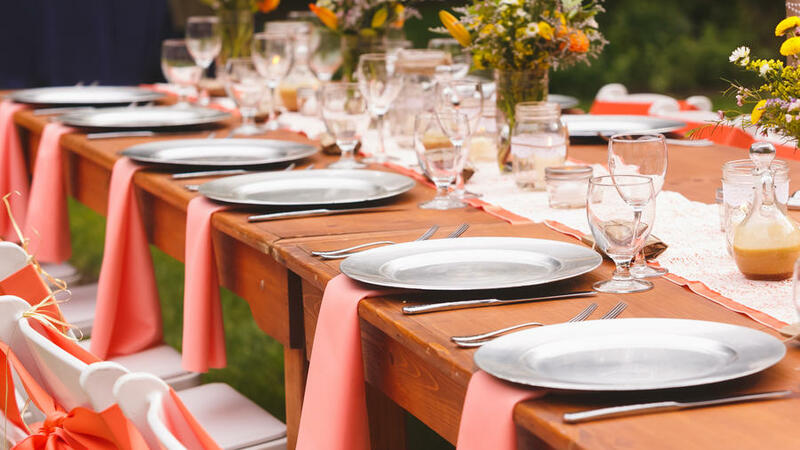 You can showcase a hint of what’s to come with a simple pop of color from your autumnal palette,” says Kylie Carlson of the International Academy of Wedding & Event Planning. You can incorporate fall colors in accents and accessories as well. 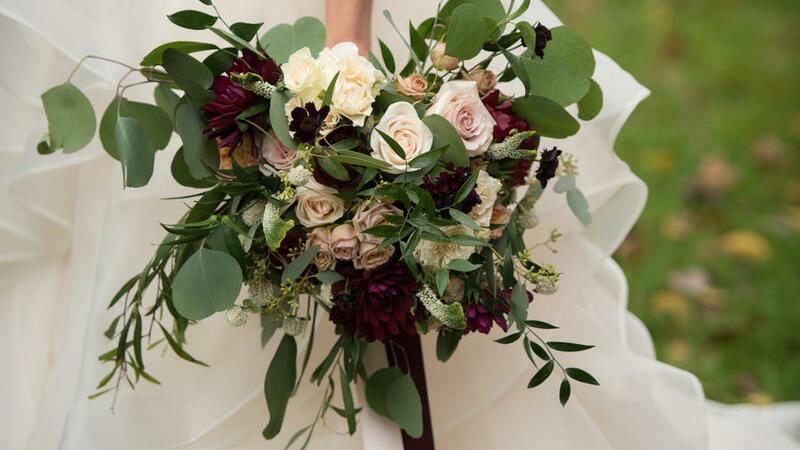 “Lush florals paired with greenery and tied with the hues of the season are always a show-stopper at a fall wedding,” adds Carlson. According to Carlson, fall celebrations are as much about texture as they are about the color palette. “Tired of burlap from wedding seasons past? 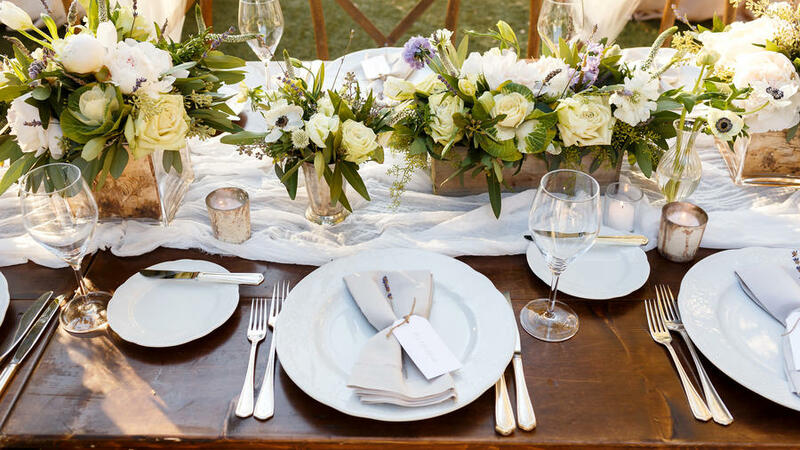 Muslin is another popular favorite that you can use for table runners,” he suggests. 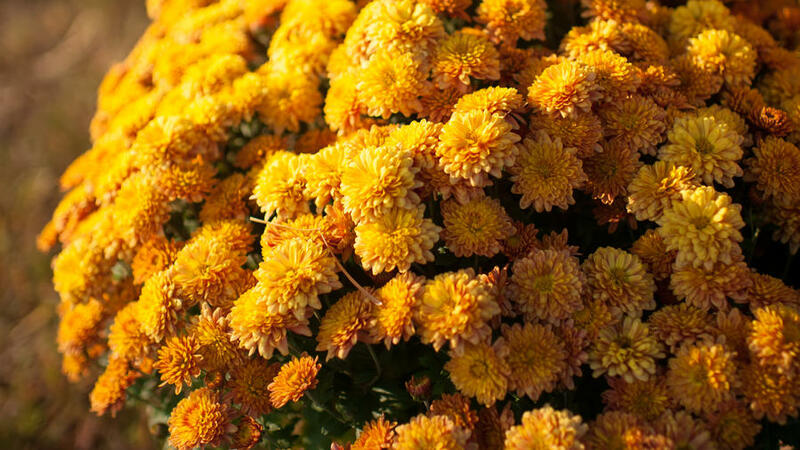 Lush mums are such an easy and affordable way to bring the fall vibe to your ceremony venue—they are in season, come in a variety of beautiful colors, and their blooms are hardy and long-lasting (in case it turns out to be a hot autumn day). Plus, when golden hour strikes, they will make for a stunning backdrop for your photos.